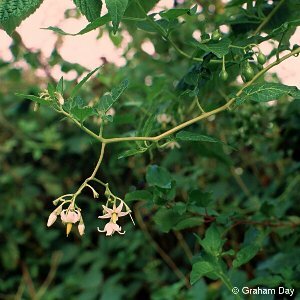 Also known as woody nightshade, this plant is related to deadly nightshade but is much less poisonous. The beautiful lilac-coloured (occasionally white or pale pink) flower is similar to that of the potato, to which it is closely related. 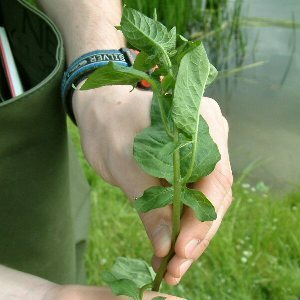 It is found in damp places, river and canal banks, sometimes semi-aquatic. The flowers are succeeded by bright red juicy (but poisonous!) berries. All names: Solanum dulcamara L.